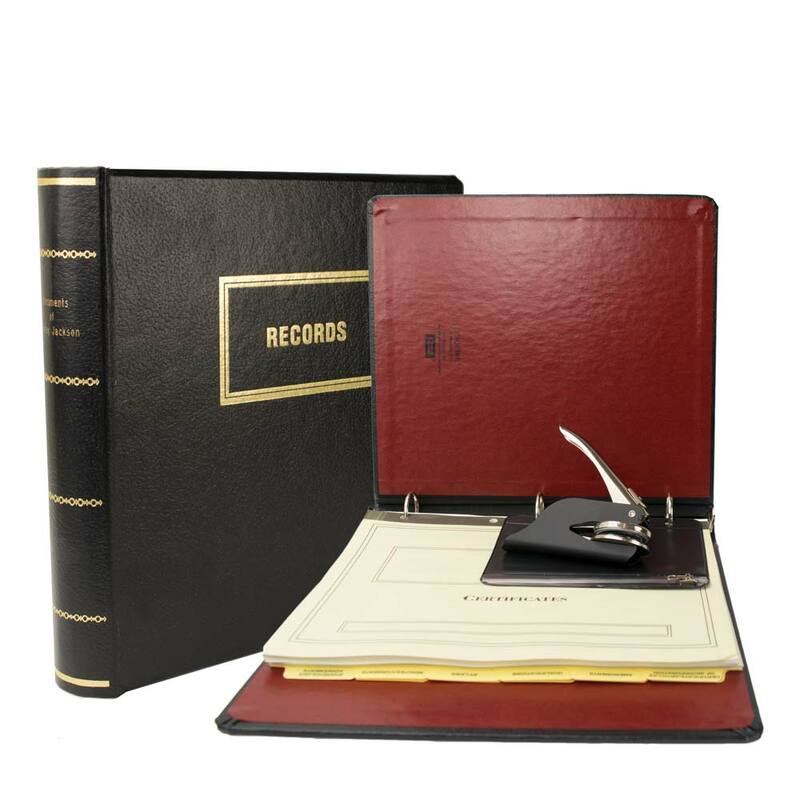 Includes all components listed on the corporate kits contents page except the slipcase. Order slipcase separately. What's included in the Esquire corporate kit? 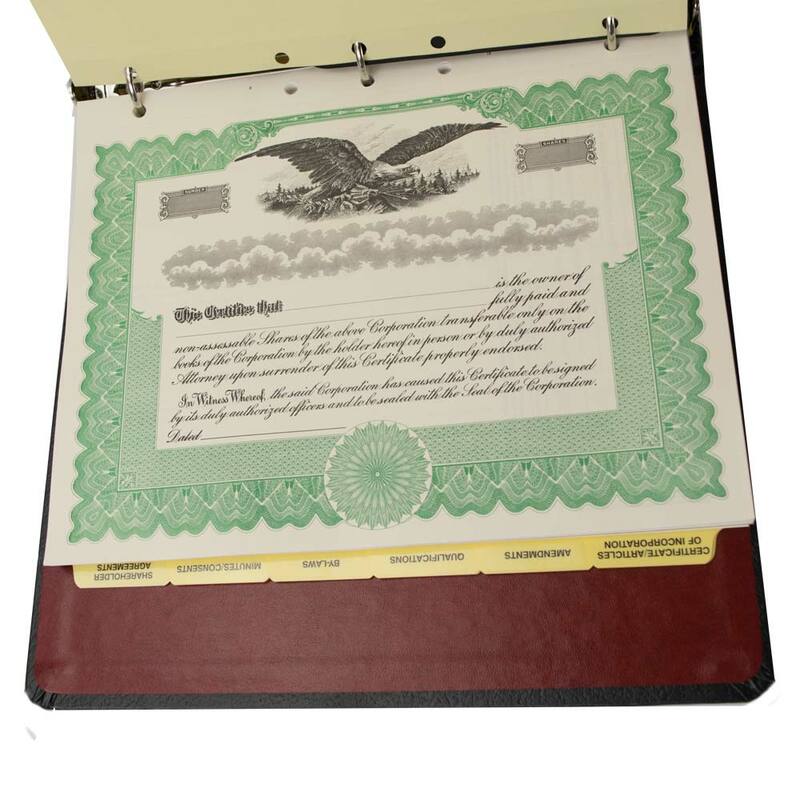 Esquire corporate kit includes a corporate seal, certificates, transfer ledger, company name etched in gold on the spine, index tabs, corporate record tickler, minute paper and optional minutes and bylaws for corporations or operating agreements for LLC's, all neatly stored in a durable binder. A protective slipcase is available. What does a corporate kit include? Click here for detailed information about what's in Blumberg corporate kits.